This was a beautiful weekend to get out there and clean up. Get those leaves out of the garden. 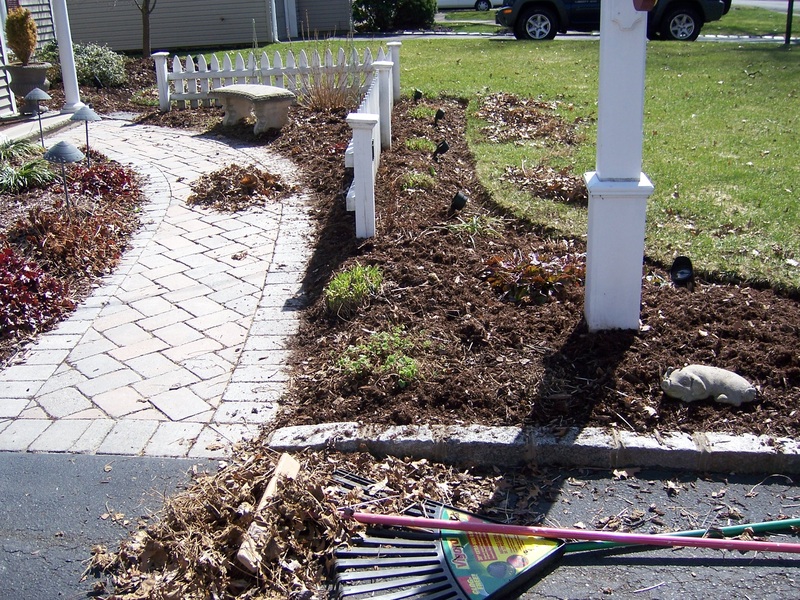 Turn the mulch and say hello to the plants that are already popping through. Next weekend, as long as we don’t get any snow, I’ll be planting pansies in my pots by the front door so I’ve been checking out the different prices on those. So far I’ve seen them at Costco & ShopRite but I’ll be checking out Home Depot this week when I go to pick up my lawn fertilizer with my coupon of course. Did you work on your gardens this weekend? Matzo Cracker Recipes – Got Any Good Ones?